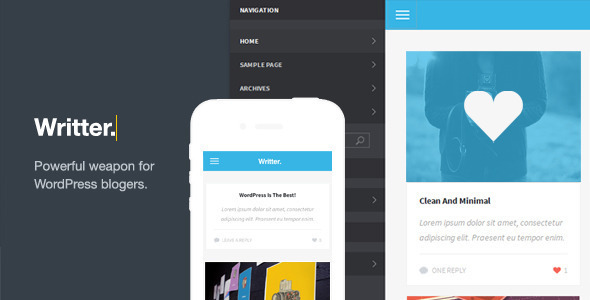 This is a collection of the best blog WordPress themes for bloggers with mobile friendly responsive designs. 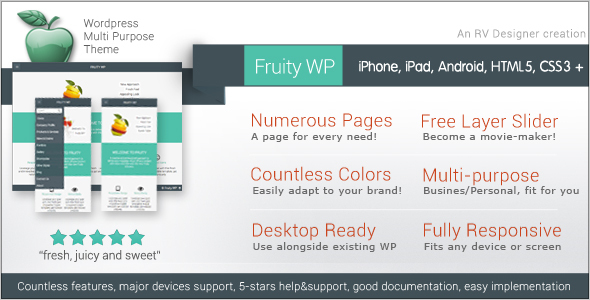 The themes below are ideal for writers, journalists, personal bloggers, professional bloggers and others wanting a simple blog style theme that’s mobile ready. 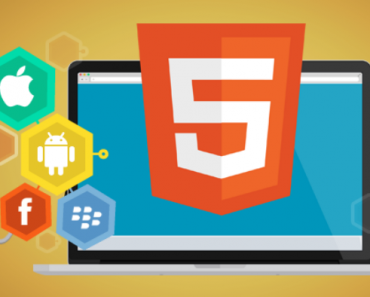 With the world increasingly going mobile and people viewing the web on their iPhones, iPads, and other smartphones, it’s important your website is accessible and optimized for users on mobile devices. 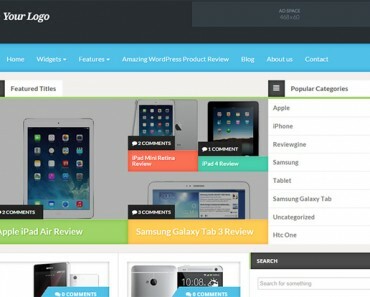 A responsive theme automatically adapts its layout according to the screen size and device its being viewing on to provide an optimized reading experience. 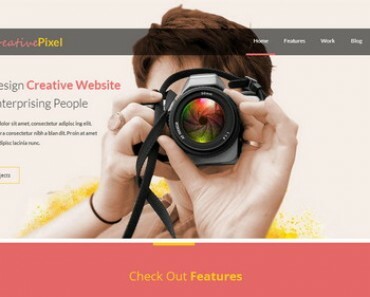 It doesn’t matter if a visitor is coming to your website on a desktop computer, a tablet or a smartphone your website will be fully functional and look fantastic. 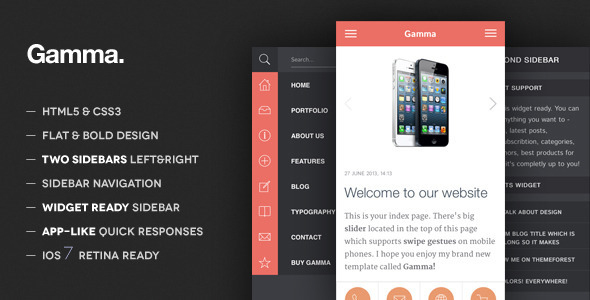 Hello there and thank you for having a look at Jackdaw, a material design-focused mobile theme for WordPress. 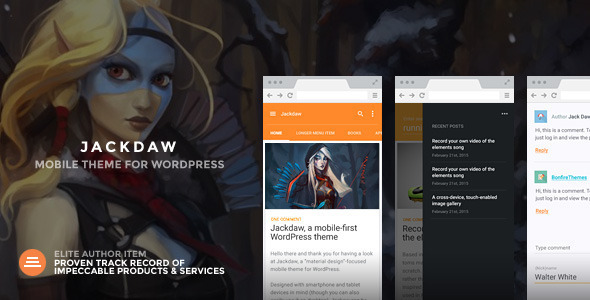 Designed with smartphone and tablet devices in mind (though you can also easily use it on desktop), Jackdaw can be used on a brand new WordPress installation or set up as a secondary, mobile-only theme for your existing WordPress site. 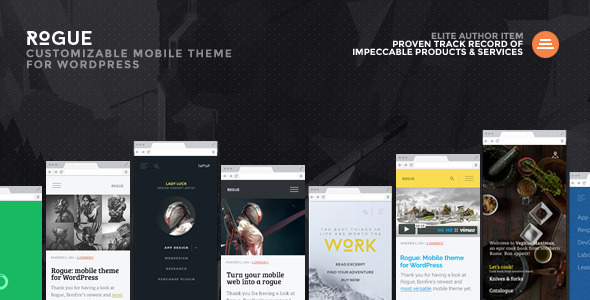 Designed with smartphone and tablet devices in mind, Rogue can be used on a brand new WordPress installation or set up as a secondary, mobile-only theme on your existing WordPress site. Like Bonfire’s previous mobile offerings, Rogue is super easy to set up and use. 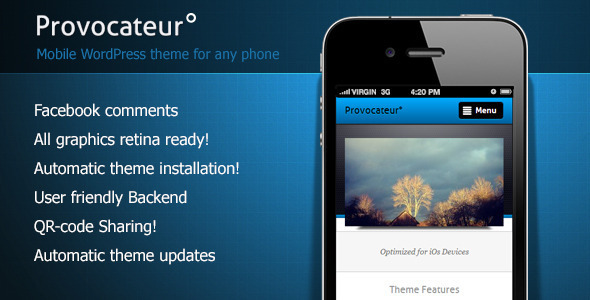 Now, however, you can also heavily customize the theme’s appearance. 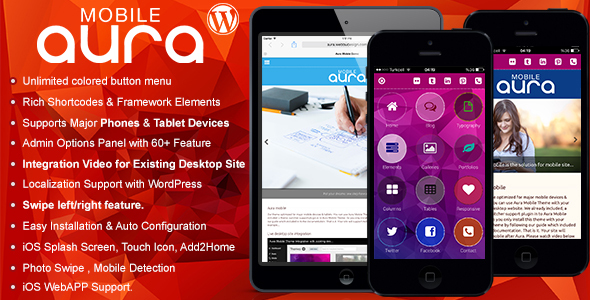 AURA Mobile Theme is created with full customizable theme system. 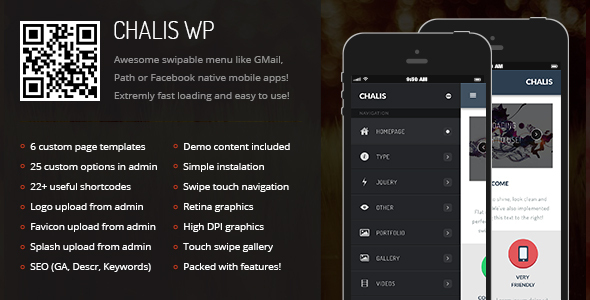 While coding this template we try to give you better mobile experience. 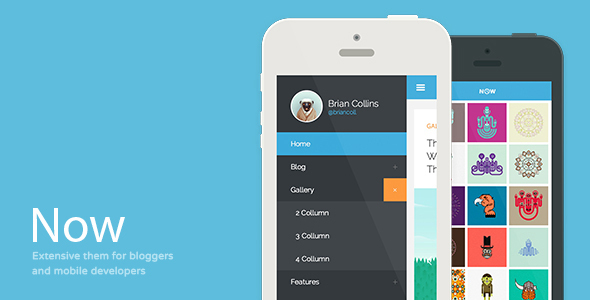 Aura have perfect mobile blog system with post format support. Also custom portfolio, gallery, video and Sound Cloud supports. You can insert unlimited category and menu item in Aura Mobile Theme. 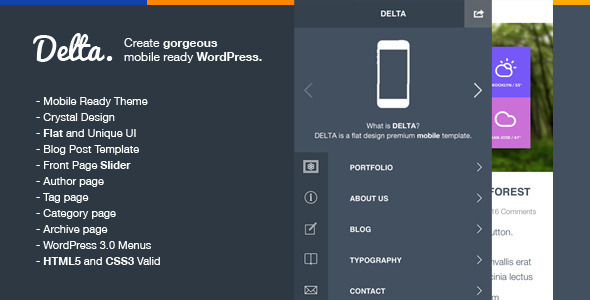 Our mobile theme is support image icons & font icons with unlimited color variations. You can use mobile retina icons which we already included with Font Awesome & 370 image icons. 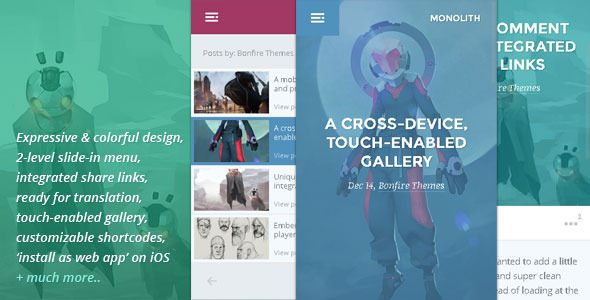 Monolith is perhaps Bonfire Themes’ most expressive mobile theme to date. With in your face imagery, the theme is an immediate standout from the crowd and is especially suitable for anyone looking to present their content, products and/or services through memorable and strong visuals. 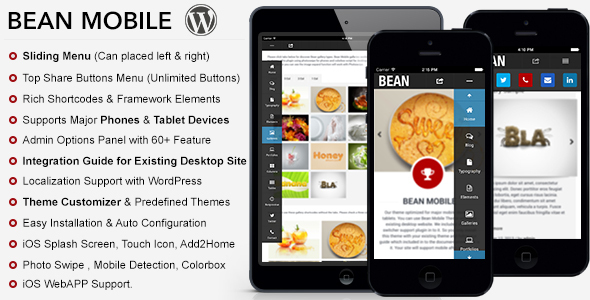 Bean Mobile Theme is created with full customizable theme system. While coding this template we try to give you better mobile experience. 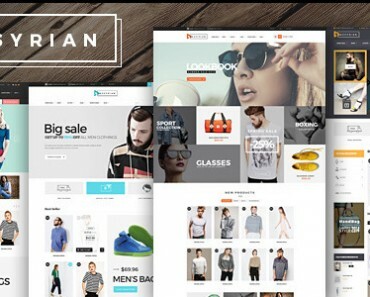 Bean have perfect mobile blog system with post format support. 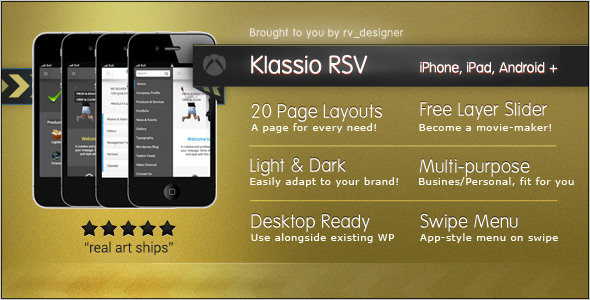 Also custom portfolio, gallery, video and Sound Cloud supports. You can insert unlimited category and menu item in Bean Mobile Theme. 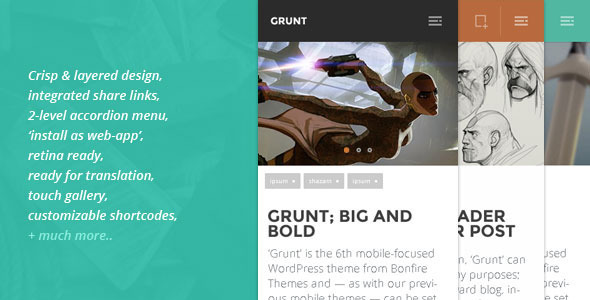 ‘Grunt’ is the 6th mobile-focused WordPress theme from Bonfire Themes and – as with our previous offerings – can be set up as a secondary theme on your current WordPress installation and shown only to mobile visitors, or used on a brand new installation; whichever suits your situation. 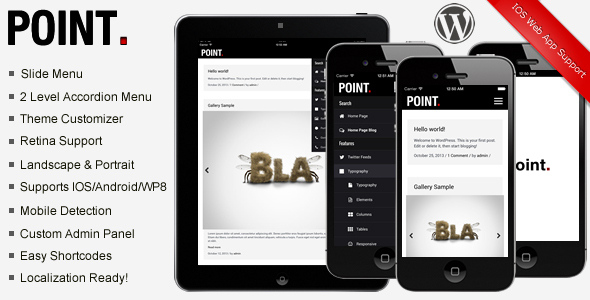 Point mobile theme is created for phone and tablet devices. 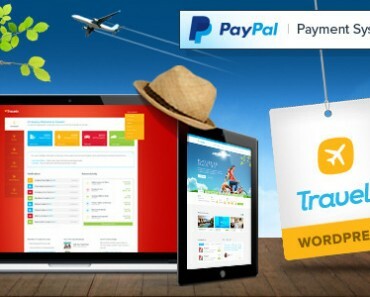 We try to give you better mobile web experience while creating this theme. 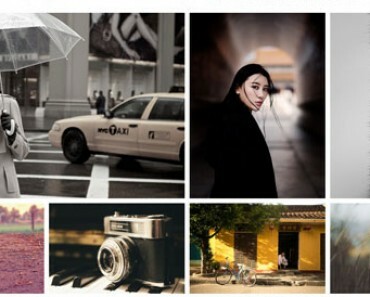 Point theme have perfect mobile blog. Also custom portfolio, gallery, video and Sound Cloud listing pages. You can insert unlimited category and menu item in Point Mobile Template. 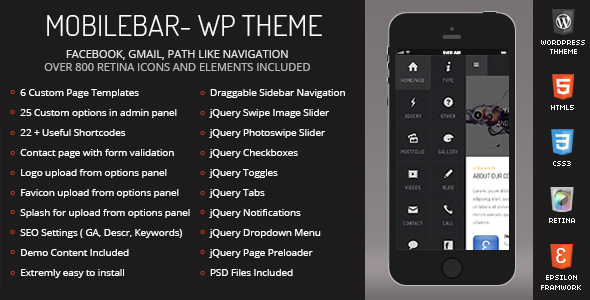 Point have easy page browsing with two level accordion menu system. 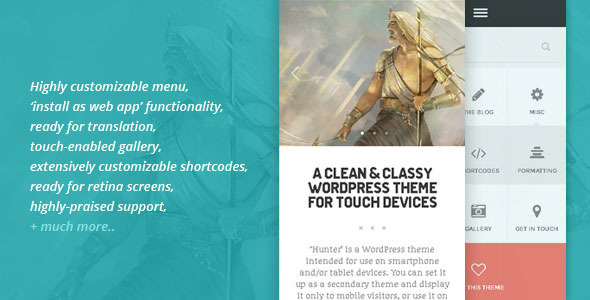 ‘Hunter’ is a WordPress theme intended for use on smartphone and tablet devices. You can set it up as a secondary theme and display it only to mobile visitors, or use it on a brand new installation; whichever suits your situation. Hello. 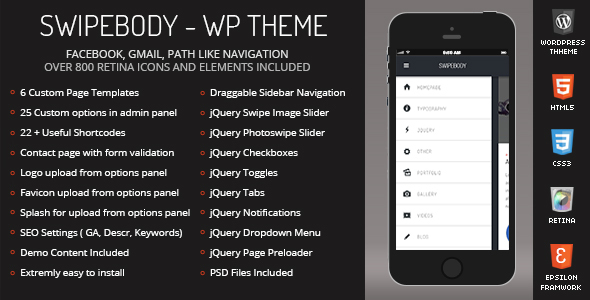 Can these themes be installed on an online wordpress website rather than a website created offline? 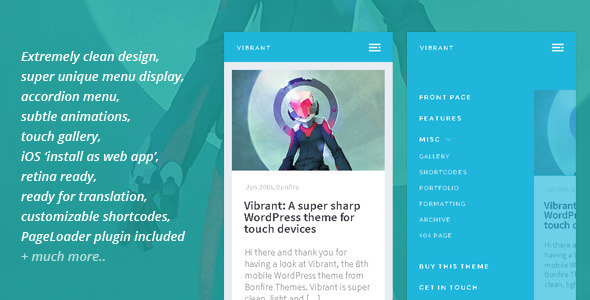 Yes these themes can be installed on any WordPress site. 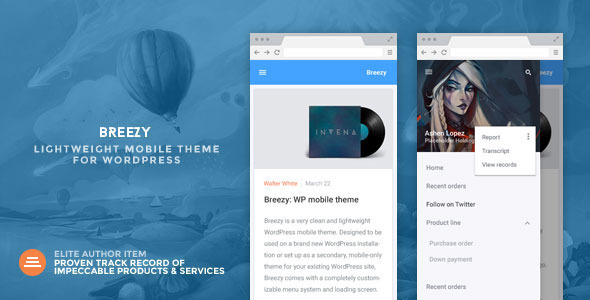 Hi just curious to know how can one set one theme for desktop and other for Mobile devices as mentioned above for ‘Breezy’ theme? Can you please provide some insights as whatever free theme i use, the mobile experience is not good and its rates close to 70 by small seo tools.